“I was taught by my father that when someone is drowning, you don’t ask if they can swim. You just jump in and help.” Irena Sendler was never anyone to brag—she always said that she simply did what she had to do. What she did, however, was nothing short of extraordinary. A young Catholic Polish social worker from Warsaw, she saved the lives of at least 2,000 Jewish children, smuggling them out of the Warsaw Ghetto, an unbearably overcrowded, unsanitary, and dangerous section of the city the Nazis sealed off during their World War II occupation. The reader also learns of events in Irena’s earlier life that led her to do what she did, as well as what she did after the war, a person unknown to most of the world. 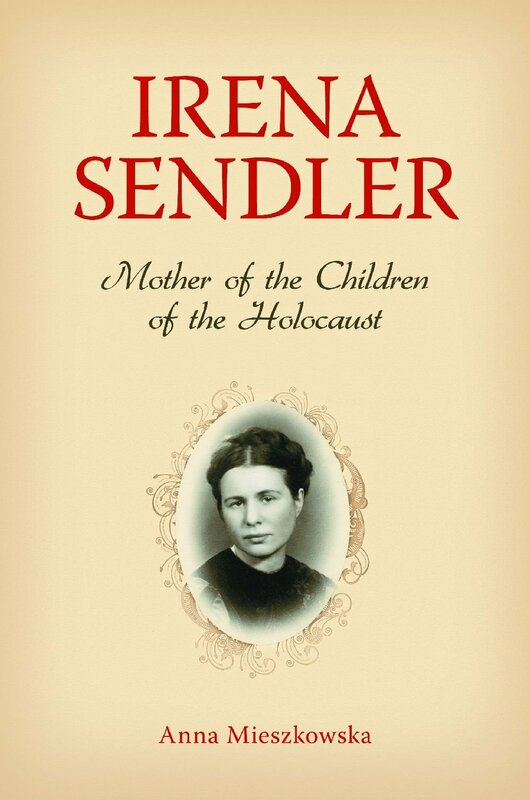 This excellent translation is our best source on the life of Irena Sendler. The research is thorough and come alive through the many interviews the author conducted with Irena herself and the people who knew her. Most notable is that Ms. Mieszkowska lets Irena tell her own story in her own words. It provided much of the source material for the beautiful PBS documentary, Irena Sendler: In the Name of Their Mothers. Of particular interest to young readers are Irena’s activities in secret, underground organizations, including Zegota. Code names, forged documents, smuggling, and underground escape routes highlight the dangers Irena and her colleagues. Most remarkable was the rescue of a six-month-old infant in a wooden carpenter’s box. That baby, Elzbieta Ficowska, would grow up to become one of Irena’s closest and most trusted friends. Her story is told here. Persuading Jewish mothers to give up their young children was the most heart-rending part of Irena’s job. How she kept careful notes of each child and stored them in a jar is one of the highlights of Ms. Rubin’s book. And the author pays the ultimate homage to Irena by allowing her to state that she did not consider herself a hero—she did what she had to do. The real heroes, said Irena, were the mothers who gave up their babies, the Polish families who took them in, and the children themselves. It was the request of Irena herself that her biography begin with the story of four high school girls from Uniontown, Kansas—half a world away and half a century from the terrifying experiences that defined her early life. That was Irena Sendler, a selfless person doing what she considered her moral duty. “I was taught by my father that when someone is drowning, you don’t ask if they can swim. You just jump in and help.” Irena Sendler was never anyone to brag—she always said that she simply did what she had to do. What she did, however, was nothing short of extraordinary. A young Catholic Polish social worker from Warsaw, she saved the lives of at least 2,000 Jewish children, smuggling them out of the Warsaw Ghetto, an unbearably overcrowded, unsanitary, and dangerous section of the city the Nazis sealed off during their World War II occupation. Surely children ought to know of this heroic woman—that is what this book sets out to do. 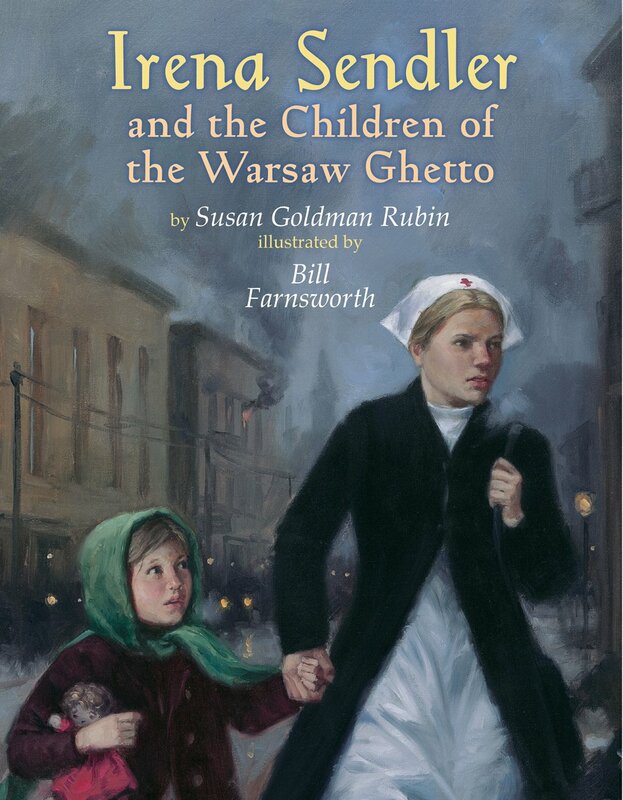 Susan Rubin drew upon many sources to create an accurate chronicle of Irena Sendler, using dialogue to excellent effect. The bibliography, in fact, is worthy of a much longer book, even one for adult readers. In describing Irena, Rubin tells of the many acts of defiance her subject committed, giving the reader a very human portrayal. The excellent illustrations by Bill Farnsworth enhance the biography, making it come alive visually for young readers. Of particular interest to young readers are Irena’s activities in secret, underground organizations, including Zegota. Code names, forged documents, smuggling, and underground escape routes highlight the dangers Irena and her colleagues faced and make for interesting reading for young readers. Most remarkable was the rescue of a six-month-old infant in a wooden carpenter’s box. That baby, Elzbieta Ficowska, would grow up to become one of Irena’s closest and most trusted friends. It is hard to imagine a more important role model for children than a humanitarian who devoted her live to saving children. The awarding of the 2014 Nobel Peace Prize to Malala Yousafzai, a Pakistani Muslim, and Kailash Satyarthi, an Indian Hindu, comes as such welcome news! It’s a powerful endorsement of peace among different nations and faiths, as well as the welfare of children. 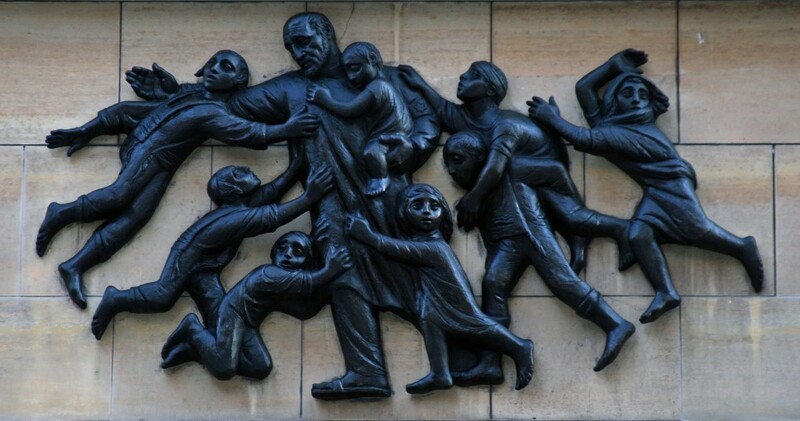 This news is very much in line with Janusz Korczak’s philosophy of the Child’s Right to Respect.